Ring in the new year in your library with books and activities that are sure to put smiles on kids’ faces! 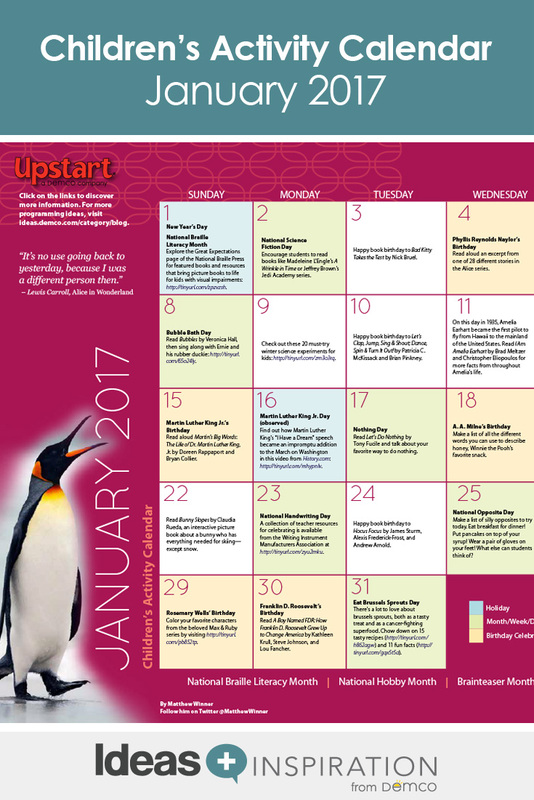 January is filled with fun occasions such as National Bird Day, Popcorn Day and even National Kazoo Day. 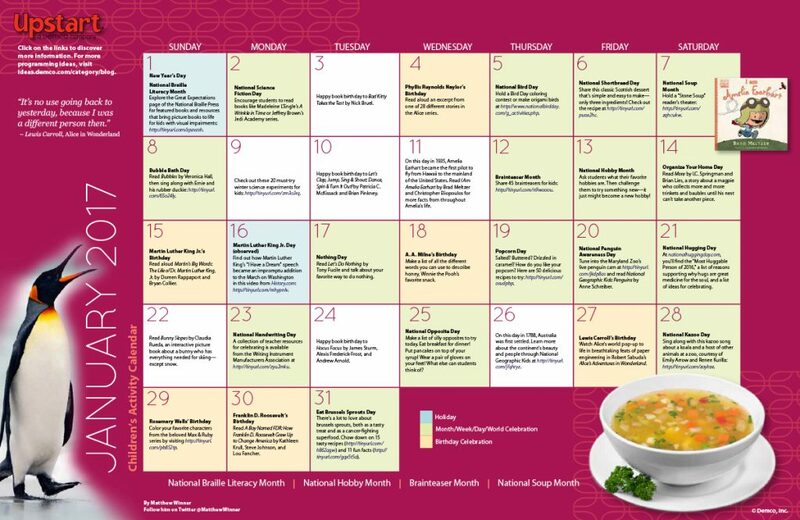 Month-long celebrations like National Hobby Month and Brainteaser Month offer the perfect antidote to the post-holiday blues. So bundle up, grab a favorite book and get 2017 off to a wonderful start!